Why Does Pharmaden’s OsteoTherapy Look Different? Comments Off on Why Does Pharmaden’s OsteoTherapy Look Different? 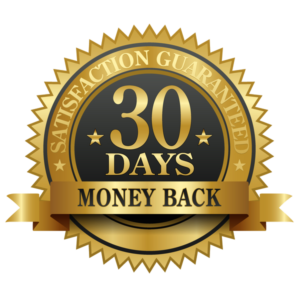 We have not changed our formula for any of our products. So, why have the supplement facts on Pharmaden’s OsteoTherapy bottle changed? There have been drastic changes to the FDA’s regulations on daily values and how they can be listed on bottles. We often get asked why OsteoTherapy’s bottle was altered from 1,000 mg of calcium to 200 mg of calcium (for a serving size of 4 capsules). If you didn’t know, there are many different forms of calcium. So, even though a serving (4 capsules) still contains 1,000 mg in calcium citrate the FDA now specifies we can only list the amount of elemental calcium, which is 200 mg. But, don’t be alarmed that one serving does not contain 1,000 mg of elemental calcium. According to Harvard Health Publishing-Harvard Medical school research, taking a supplement with 1,000 – 1,200 mg of elemental calcium along with the calcium you get while eating an “average” diet could actually be putting you at risk of heart attack and kidney stones. We know that both calcium and vitamin D are essential in building bone. The question is, how much of each do we need? Dr. Willet, chair of the Department of Nutrition at Harvard T.H. Chan School of Public Health, recommends taking 500 to 700 mg a day of calcium and 800 to 1,000 IU of vitamin D. That’s less calcium and more vitamin D than the guidelines suggest. At that rate, you can probably get all, or most, of your calcium from food – if you have good eating habits. But how many people have really good eating habits? Also important to note, if you can’t tolerate dairy you should still be able to get 300 mg of calcium a day in your diet and can take a low-dose calcium supplement to make up the rest. The studies (which only refer to elemental calcium) suggest that if you consume 500 mg, or less, of calcium a day through supplements you should be able to avoid the possible risk of heart disease and kidney stones. No worries though! You are safe taking Pharmaden’s OsteoTherapy, PerioTherapy, and PerioCare. As mentioned, OsteoTherapy contains 1,000 mg of high absorbing calcium citrate and only 200 mg of elemental calcium. What are the benefits to calcium citrate? While Calcium citrate may be more expensive, dosing is more flexible. It can be taken any time of day, with or without food, because it’s absorbed equally well on an empty or full stomach. It is also a better choice for older people who produce less stomach acid or for those who take acid-blocking medications for heartburn, since it’s more easily absorbed with low levels of stomach acid compared to other types of calcium supplements. 80% of my perio patients and 50% of my non perio patients admit to average or poor eating habits. 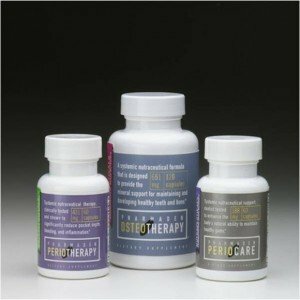 This is why your patients and your staff should supplement with a high absorbing, quality supplement to maintain bone health and help to remineralize and repair bone after implant placement, perio surgery, orthodontics, and extractions. Pharmaden has grown over the years, but why branch out into dental marketing? 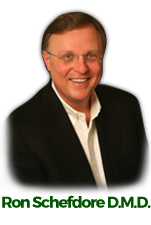 Dr. Schefdore, “When I owned 3 dental offices we did every sort of marketing imaginable. Some of it worked well but most of it was a flop. The school of hard knocks did teach me a lot about marketing though. When I purchased Pharmaden in 2004, I began speaking with dentists on a large scale. I realized the best offices were not corporate but fee for service, like mine. They put their patients first. Corporate dental offices don’t seem to care enough about their patients to look into a supplement option even if it is proven to reduce bleeding, plaque, and pocket depth. And the problem full fee practices face is attracting patients looking for quality, not the best price. I knew if I wanted Pharmaden to continue growing I needed to help quality minded, fee for service dentists succeed – like ones who use our supplements. How can you specifically help independent dentists? How are you able to continually get such good results? Dr. Schefdore, “Constant education and changing with the times – for so long I dominated getting more patients with newspaper inserts but for the first time, the internet is bypassing those numbers. Just like a dentist takes CE courses, Allie is constantly educating herself and team on new strategies to help dental offices. She is a part of a mastermind group that works together, constantly testing out new strategies for dental marketing and sharing what works and doesn’t. The things she has learned and taught other marketers is beyond anything I could comprehend. Thanks for checking out our new site. Please take a look around and let us know what you think. You can subscribe to our newsletter to stay up to date on the latest new and information. We look forward to hearing from you, if you would like to know more about the products we offer you can go to our Pharmaden products page here. 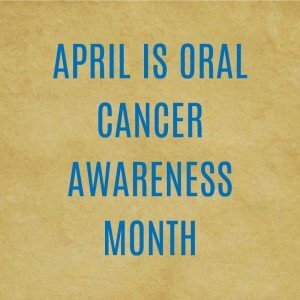 Did you know that April is Oral Cancer Awareness Month? It is the 6th most common form of cancer. Close to 48,250 American are diagnosed each year with oral or pharyngeal cancer and more than 9,000 of those patients die each year. That means that there is about 1 death every hour of every day, each year. If oral cancer is detected early then the survival rate increases to 80-90%. According to the Oral Cancer Foundation (www.oralcancerfoundation.org) the 5-year survival rate of those who are diagnosed is approximately 57%. You’ve probably heard of Hodgkin’s lymphoma, thyroid cancer, and cervical cancer. The death rate for oral cancer is higher than any of those types of cancer! Here is a breakdown of which part of the mouth is involved in oral cancer according to Dentistry iQ: 20-25% involve the tongue, 15% the floor of the mouth, 10-15% involve lips, and 10-15% involve the minor salivary glands. The most common oral cancer is squamous cell carcinoma with 90% of oral cancers being this form, which is malignant and typically spreads quickly. The earlier cancer is detected, the less chance it has to spread. So, what are the stages of cancer? Seeing your dentist could save your life. Because patients may not feel pain or recognize the symptoms as abnormal this makes it difficult to diagnose oral cancer until it is already in the later stages. Routinely visiting your dentist isn’t just for a routine cleaning but a way a dentist could save your life. Human papillomavirus (HPV), which spreads easily, is the fastest growing risk factor for oral cancer is. Anyone over 17 should be checked for oral cancer. Surprisingly, It is not required for dentists to have an oral cancer screening program. There are screening techniques that can detect abnormalities in tissue to help determine if further testing is necessary – like a biopsy. According to the Centers for Disease Control (CDC), these screenings should be performed on anyone over 17 because of how easily HPV spreads. 1. 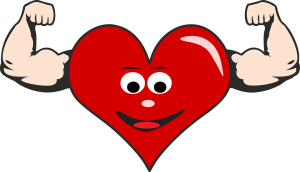 Having high levels of the common periodontal pathogen P. Gingivalis gives a 13X higher risk of heart attack. This is taken in consideration after adjusting for age, gender, smoking, BMI, BP, plaque index, statins and TC/HDL. 2. High levels A. Actinomycetemcomitans, another periodontal bacteria, increases the risk of fatty plaques in the lining of arteries. Dentists can test for this with a saliva test. 3. Oral infections produce up to 50% of all heart attacks. A dentist can also test for this with a saliva test. Grape seed extract is amazing for your skin, hair, nails, and blood vessels according to research. But, new research also shows that when grape seed extract is added to your diet, with calcium, there is improvement in bone strength (Journal of Musculoskeletal & Neuronal Interactions). It has a “beneficial effect on bone formation and bone strength for the treatment of bone debility caused by a low level of calcium”. Please note that not all grape seed extract is of the same quality. Numerous research articles suggest that quality grape seed extract could be very beneficial for many people. Grape seed extracts have become a clinical interest because of the small molecular size polyphenols, called oligomeric procyanidins (OPCs), present. Pharmaden’s main goal is to help improve customer health so our dental vitamins use the smallest OPCs for the best absorption. Black pepper is also added to each of our 3 non-synthetic products (PerioTherapy, PerioCare, OsteoTherapy) to enhances absorption by up to another 40%. Westmont dentist and Pharmaden LLC president, Dr. Ron Schefdore, uses these products in his dental office. Please visit https://pharmaden.net/ for more information, to see our double blind study, and listen to testimonials.